A non-profit facility providing affordable, bench to bedside solutions for the development of cellular therapy. As we gaze over the precipice caused by the gap between biomedical research and patient care, a quick glimpse at the death valley below reveals a plethora of scientific discoveries that have never found their way into clinic. The scenario looks even eerier for cellular therapies, a treatment modality that offers hope for millions of patients worldwide given its ability to replace, repair or modulate dysfunctional cells, tissues or entire systems. Approval of therapies involving live cells requires the surmounting of critical challenges, starting with the building of solid pre-clinical research, overcoming regulatory hurdles and successfully executing manufacturing protocols. Combined with the emergence of unregulated clinics offering cellular treatments and a befuddled public perception, now more than ever there is a great need for facilities that can integrate services to bridge this deadly gap, and ensure new discoveries and therapies find their way to patients. To address this critical need, Emory University (GA, USA), in 2011, undertook the initiative to establish the Emory Personalized Immunotherapy Core (EPIC). Backed by Emory’s highly recognized preclinical program and first-in-man clinical trials, EPIC was created to offer a variety of subsidized services and resources to help Emory’s investigators with clinical studies focusing on cellular therapies. As such, we offer consultation services for non-clinical studies, trial design and manufacturing validation. Importantly, EPIC has a fully equipped, high sterility clean room facility accredited by the Foundation for the Accreditation of Cellular Therapy (FACT) for more than minimally manipulated cellular therapy products, designed as an enabling infrastructure to fully support early phase clinical trials of cell-based therapies in which processing of human cell and tissue is required as part of a FDA-sponsored biopharmaceutical study. Lastly, EPIC also offers research materials like human mesenchymal stem/stromal cells (hMSCs), peripheral blood mononuclear cells (PBMCs) and GMP-grade human platelet lysate (hPL) to support researchers. From conception to execution, EPIC offers a variety of services to help translate cellular products from research into clinical application. In this Phase I trial the investigators intended to show safety and tolerability of autologous MSCs, expanded using a non-xenogeneic, human component platelet lysate expansion media (1). This study hypothesizes freshly cultured autologous MSCs grown in PL-containing medium will modulate donor T-cell immune responses and reduce graft-versus-host-disease in allo-hematopoietic stem cell transplant recipients. The purpose of this research is to study how red blood cells (RBCs) survive in a person's circulation, and how that survival may be different in red blood cells that are donated and stored prior to being transfused. This study tests the hypothesis that vaccination with dendritic cell/myeloma fusions plus lenalidomide maintenance therapy will result in improved responses in patients with multiple myeloma after autologous hematopoietic stem cell transplant. All subjects with the diagnosis of hypoplastic left heart syndrome (HLHS) undergo a palliative reconstructive surgery performed in the first two weeks of life, termed the Norwood procedure. The second stage in the palliation of HLHS is a scheduled bidirectional cavopulmonary anastomosis (BDCPA) that occurs between 4–6 months of age. During this surgery when the patient is on cardiopulmonary bypass for the BDCPA, the study product will be given from the previously harvested, isolated, and expanded autologous c-kit+ cardiac stem cells into the aorta directly through the cardioplegia needle into the coronary circulation. As the field continues to advance, Emory’s increasing commitment to cellular therapy has led to a new investment. 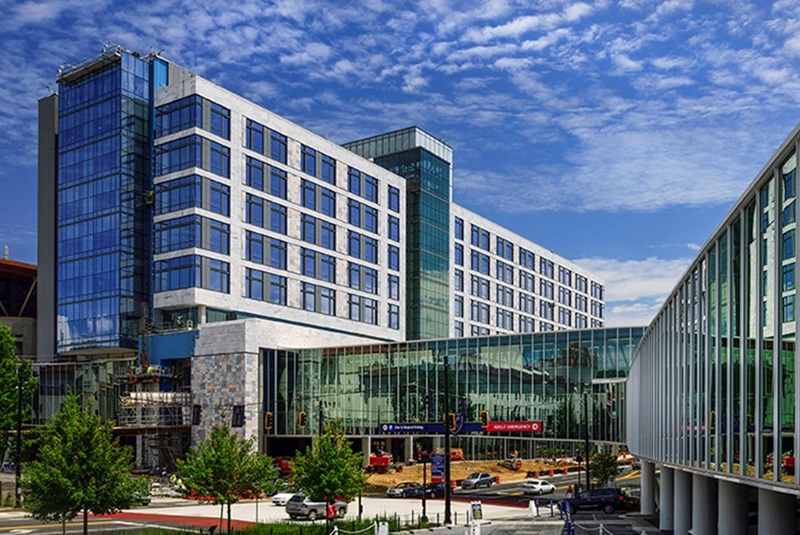 In the summer of 2019, EPIC will open its new facilities at the Emory Hospital Tower. The new facility will include four state-of-the-art, independent processing suites, which will allow EPIC to expand its capacity and continue pursuit of its mission to foster development of cellular pharmaceuticals and biotherapies for the treatment of human catastrophic illnesses.